If you use computers and screens a lot, you will also know the feeling of an achy, tired index finger from frequent scrolling, swiping and mouse clicking. Take care! Something as small as a painful index finger can seriously affect your work. It’s easy to think an ache will always fade, but that’s not the case. An ache can quickly escalate to numbness, tingles, stiffness, swelling, tenderness and weakness. Without care, that ache can turn into chronic pain and even permanent damage. Don’t look at this link if painful surgery for tendonitis is not on your wish list. 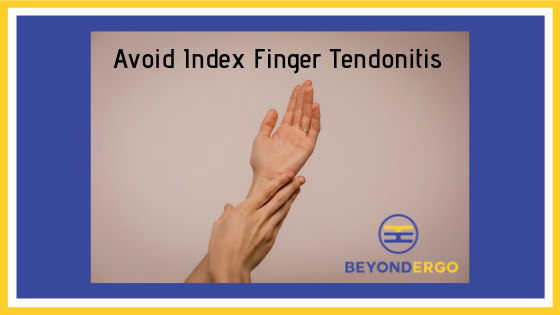 Rates of index finger tendonitis are rapidly increasing as we click, swipe and scroll our way through our days. This article provides a general overview of strategies to help you recover or avoid injury to your index finger from repetitive scrolling or mouse clicking. Remember – You are unique. 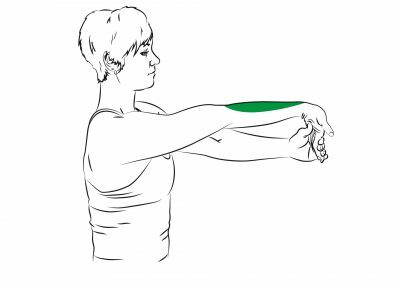 People come in all shapes and sizes, the causes of pain vary, and there are many different exercises and mouse designs to consider. Take time to study what is right for you. Always seek medical advice if pain persists. That ache, numbness or tingling in your fingers is a warning sign of fatigue (overuse) and a trigger to take 30 seconds to do a reset. We get these warning signs at the worst times – working to a deadline, focusing intensely, or trying to finish a thousand things. These pressures lead to more clicking, faster clicking, and using more force to click. Frequency, pace and force are all risk factors for overuse injuries. Working under pressure is the best time to do a 30 second reset because this is when we are most at risk of developing an injury. While we tend to take painkillers and keep working, this short-term management strategy means a sore finger with a niggling ache can become a very painful, swollen finger that is stiff and tender to the touch. 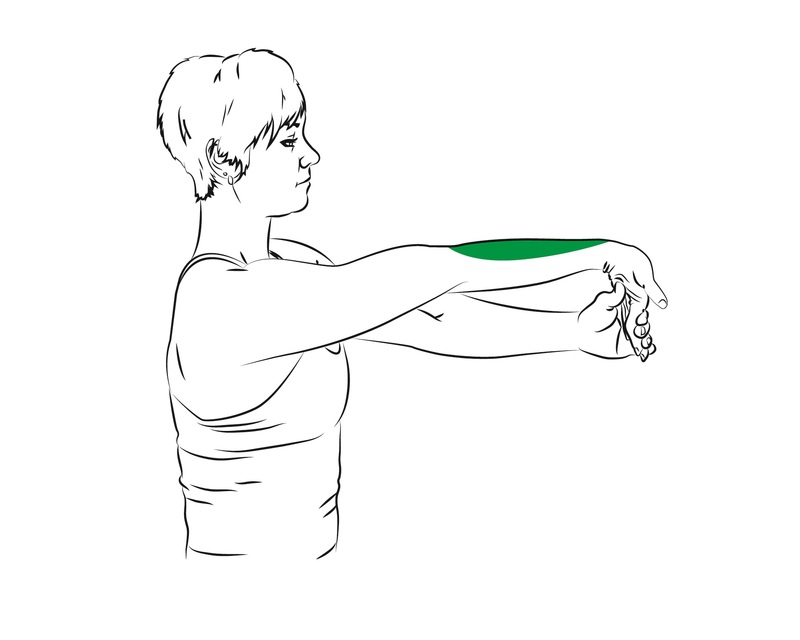 Take a little time every hour to relax and stretch hand and fingers to avoid chronic pain that will affect your work and your quality of life. If you use a Mac, you can reduce index finger work by change settings, so the secondary click moves to the left side of the mouse. If you have a way to do this on Windows, I would love to hear about it! Or use Ctrl+F on Windows and Cmnd+F on Macs to search webpages or documents for a specific word or phrase. This can save a lot of index finger scrolling on long documents. Remember, our bodies work as a single integrated system. To care for one part that may be suffering, consider how you can promote healing and prevent further injury by improving overall health and vitality. The message for injury prevention is Move More & Sit Less. Regular aerobic exercise relaxes your mind, releases muscle tension, and promotes healing. Go for a walk before and after work. Just 10 minutes will clear your head and lift your energy. Working with screens is mentally and physically demanding. At the end of each day, you will feel exhausted but avoid the temptation just sit and chill. Take a little time to care for yourself. Find a sport you enjoy, join a social club, start a short course. Try something new. It may not be perfect, but new experiences are always valuable. Give it a go! Let your imagination run wild! Why not? To learn more about all the simple no-cost changes that will significantly increase your comfort and productivity, click here to see the Beyond Ergo Small Changes Project page. Take Action to Prevent Headaches @ Work! Founded by Dr Elizabeth Kirk (PhD) in 2014, the company was initially called Practical Ergonomics but was renamed in February 2018 to highlight the need for holistic, multidisciplinary behaviour-based training to manage the high and increasing levels of discomfort, injury and chronic illness associated with long hours of screen use and sedentary work. Elizabeth is one of Australia’s leading researchers and trainers in skill-based office ergonomics training, with a special interest in call centres.